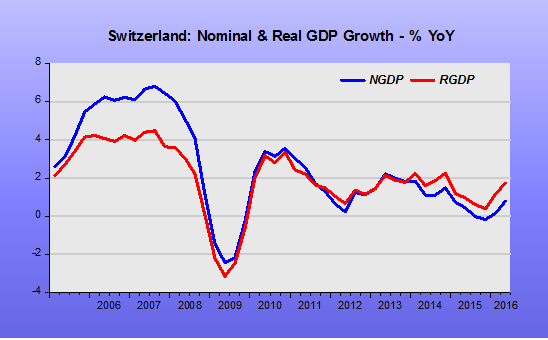 Back in Autumn last year I was concerned by the negative trend in Swiss NGDP during 3Q 2015. In January 2015 the new head of the Swiss National Bank broke the fixed ceiling on the currency vs the Euro that had prevented appreciation and a consequent monetary tightening. 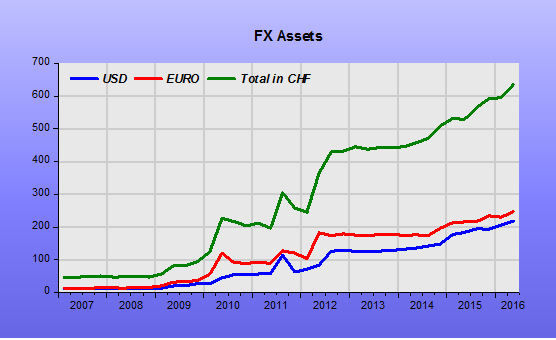 The ceiling had been so credible that after early attacks the SNB had not had to defend it by selling currency and thus expanding its balance sheet – a major cause of concern inside Switzerland. On breaking the ceiling the currency duly rose dramatically and the SNB was forced to sell currency in order to stop what it saw as “excessive” appreciation. Effectively, the SNB was now running an unofficial peg vs the Euro. It was forced to begin expanding its balance sheet all over again. 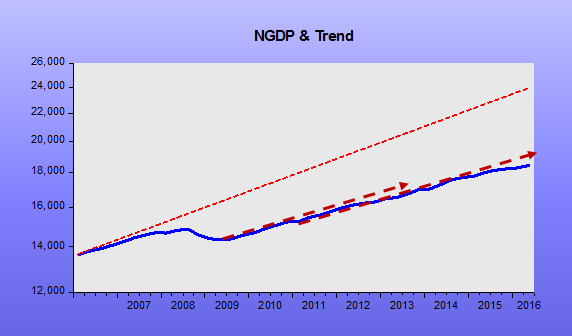 The initial currency appreciation was monetary tightening and did see NGDP slow and then turn negative, dragging down RGDP too, but not quite sending Switzerland into a recession. 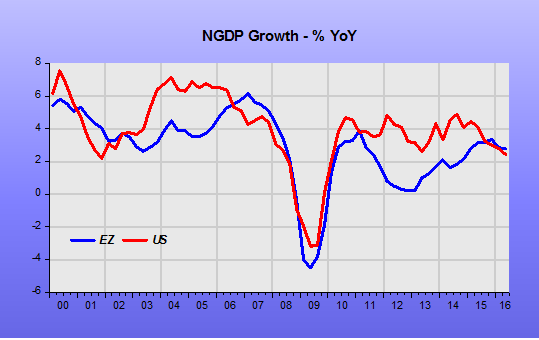 Over the last three quarters the recession was narrowly avoided so there has been no poor ending yet. Why not? 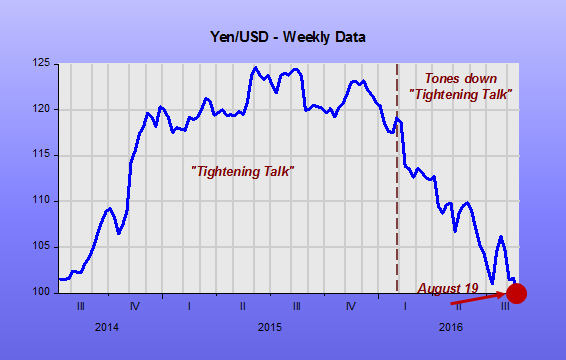 • The unofficial peg vs the Euro means that monetary policy has stopped tightening. 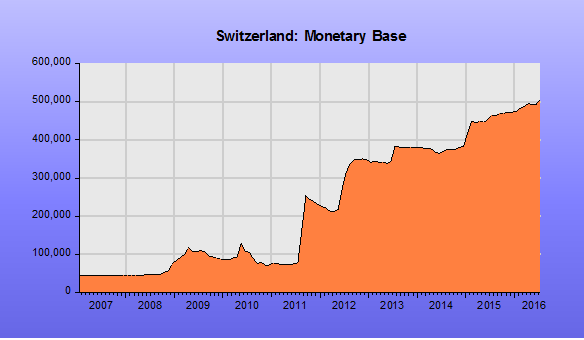 • The cost of maintaining the new unofficial peg means Switzerland is actually engaged in monetary easing as Base Money has grown steadily thanks to the continual sale of currency in return for foreign assets. If a major country did this it would be termed “currency manipulation”, but the US Treasury has only named China, Japan, Korea, Taiwan and Germany on its infamous May 2016 “Monitoring List”. • It won’t have helped that Switzerland is running with very negative policy rates, but it doesn’t appear to have hurt either. In just the 2nd quarter of 2016 alone he SNB has bought more USD (11.5bn) and more EUR (16bn) than they owned before the financial crisis. 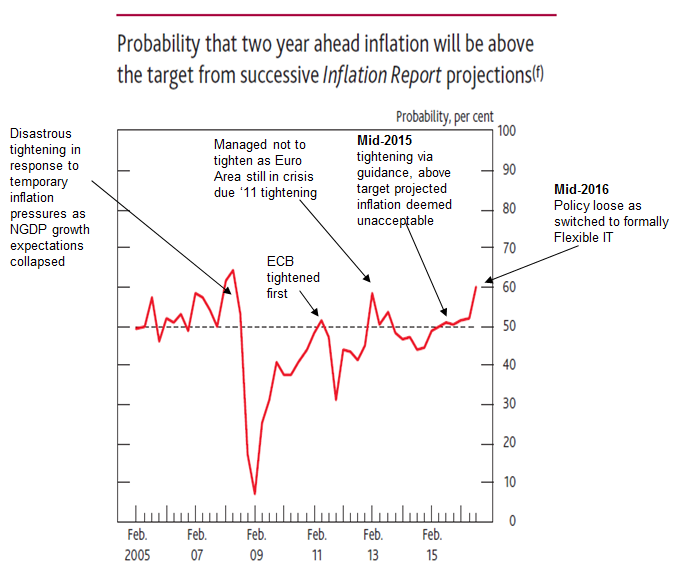 By tying itself again to Euro monetary policy Switzerland has effectively outsourced its monetary policy direction to the ECB, which itself is trying hard to ease monetary policy via its QE programme, despite the massive handicap of its absurdly low inflation ceiling. 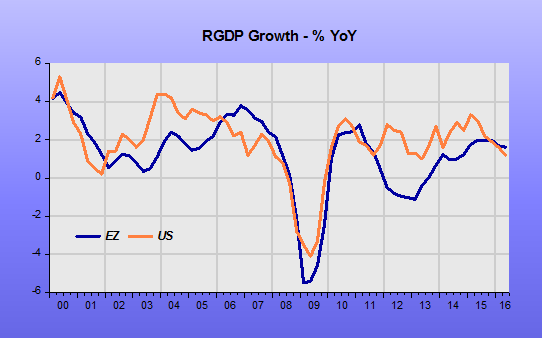 Euro Area NGDP and RGDP growth has avoided disaster as a result, and has had a similar impact on Switzerland. 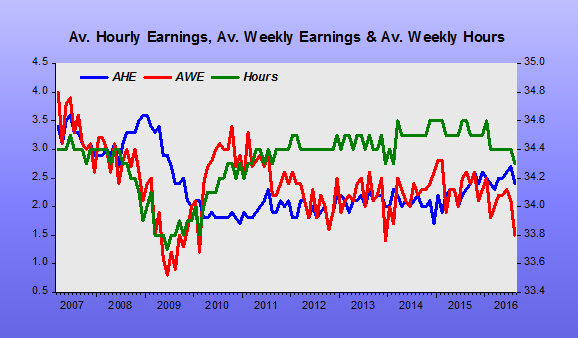 The August data showed both weaker growth in AHE and another drop in AWH (plus a revision down in the July hours) leading to weekly earnings growth dropping from 2.1% YoY to just 1.5%. It has to be remembered that this is nominal growth and so really depressing for wage earners. Other non-wage costs are rising, like medical cover but it remains incredibly dull for employees.